Jeff Goldblum & The Mildred Snitzer Orchestra and Patti LaBelle are among the new headliners announced for the 2019 CGI Rochester International Jazz Festival. Additional headliners have been added to the 2019 CGI Rochester International Jazz Festival, which runs from June 21 to 29. 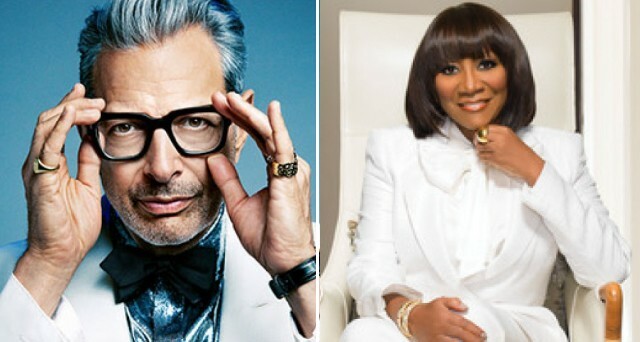 Patti LaBelle will perform on Saturday, June 22, Marc Cohn and The Blind Boys of Alabama will perform on Tuesday, June 25, and Jeff Goldblum & The Mildred Snitzer Orchestra will play on Wednesday, June 26. All three concerts will take place in Kodak Hall at EastmanTheatre, and they all start at 8 p.m.
LaBelle, an R&B legend, is a member of the Grammy Hall of Fame and was named one of the “100 Greatest Singers of All Time” by Rolling Stone. Marc Cohn is a Grammy-winning singer-songwriter who has been a fixture on the adult contemporary scene since the release of the 1991 single “Walking in Memphis.” On June 25, Cohn will be joined on the Kodak Hall stage by six-time Grammy Winners The Blind Boys of Alabama. The beloved actor and seasoned jazz pianist Jeff Goldblum will bring his signature, wry charm to Rochester, along with his backing band The Mildred Snitzer Orchestra. Tickets for all three concerts go on sale at 10 a.m. on Friday, January 25 at rochesterjazz.com.